If Damien Leith hasn’t worked his way into his mum’s good books by releasing ‘Halfway Heart’ as the second single from his recent album ‘Chapter Seven’, we don’t know what it’s going to take. “I love this track and it happens to be my mother’s favourite song so I thought I should definitely release it for Mother’s Day,” the singer said in a statement. The clip uses split screen to great effect (we’re presuming the girl’s over in the UK, given the box of ‘Rice Krispies’ on her kitchen shelf) and the song itself is quite beautiful. And while you’re pretty much guarantee not to be hearing it on your 2Day or Nova radio networks, surely at least Smooth, Kiis or Mix might give it a go? Damien is a very talented Artist as well as one of our top selling ones too. Beautiful song and great Video..and he isn’t walking..lol. You are very close AuspOp. 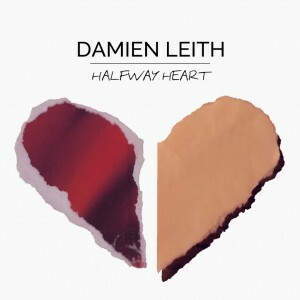 The video was shot in Ierland when Damien was there over the Christmas break. It’s another great track from Chapter Seven. All the tracks are good so it would have been difficult having to choose what to release. His Mam’s favourite won it seems. It’s a lovely video and I do hope it gets airplay. It so deserves it. His Mum (or is that Mam, being Irish?) should be proud, it’s a great track. Cute vid too.